Last week the Creative Freedom Foundation participated in a group briefing and Q&A session with David Walker, NZs Chief Negotiator in the Trans Pacific Partnership Agreement , and officials Angela Strahl and Yvonne Woutersen. Last week the Creative Freedom Foundation participated in a group briefing and Q&A session with David Walker, NZ’s Chief Negotiator in the Trans Pacific Partnership Agreement, and officials Angela Strahl and Yvonne Woutersen. The meeting made it quite clear that, although the details aren’t final, we can expect to lose many remix rights and see a greater ‘orphaned works’ problem here in New Zealand in exchange for more dairy exports to the U.S. Rather than further protecting artists’ rights, this move will prop up a fundamentalist approach to copyright that will drain the pool of works currently accessible to artists who wish to freely build upon them. Our Big Idea article outlines some of the reasons why this is a problem for kiwi artists. Orphaned works are works whose copyright holder can’t be found (hence the analogy to an orphan being unable to find their parent). With digital technology, and the lack of metadata about who owns particular work, this is becoming a major issue worldwide for artists, libraries, museums and archives. Once copyright has expired orphaned work may be freely copied (and therefore preserved) by these institutions. However, with media such as cassette and VHS tapes, floppy disks, and CD-ROMs there is the added time bomb of technology decay that means these works may be lost forever if an owner cannot be located to give permission for the work to be copied. Extending the copyright term will inevitably grow the pool of orphaned works, meaning that those who are trying to preserve our heritage within the law are unable to do so by making copies without the copyright holders permission. Thankfully, there is a relatively simple solution to the ‘Orphan Works’ problem in New Zealand: an opt-in system for any copyright extension. Such a system would keep the existing copyright duration of ‘Life+50 years’ but allow anyone who still wants it after Life+50 years to register their copyright with the government. As you can imagine there are very few copyrighted works still needing copyright (or making money) after ‘Life+50 years’. In fact, as this University of Illinois study has found that “Copyright correlates significantly with the disappearance of works rather than with their availability”. Surely, keeping our current copyright term is far more in line with the New Zealand national interest than an extension of copyright. An opt-in system for copyright extension would mitigate this issue, as well as appeasing the US desire to extend copyright terms internationally. Returning to the meeting, Walter opened with a brief chronological summary of the TPPA negotiations thus far, finishing by unequivocally stating that all countries involved are intent on concluding the agreement by the end of this year (2013). He carried on to say that some chapters had been concluded, and that others still required work. The IP chapter is one where there is still work to be done. Ministers involved have been tasked with concluding outstanding issues prior to the forthcoming Honolulu meeting. The week of 18 November has been set aside for meetings that will aim to resolve these unconcluded threads, to a point where they can be put forward as recommendations to the Ministers. Walker stated that he wanted a deal that was ultimately seen as “being in the New Zealand national interest.” It was emphasised that, in such negotiations, issues must be traded to achieve consensus. The problem is that trading off artistic rights (without gaining anything substantial for artists) in exchange for dairy can make sense in this context. Artists don’t have lobby group as powerful as dairy. Angela Strahl, who is handling the IP chapter, stated that NZ’s Parallel Importing abilities are likely to stay unchanged, as is the ability to set our own limitations and exceptions to our domestic Copyright law. However, it was strongly hinted at that an extension of our Copyright Term is inevitable. 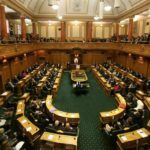 As Walker put it: only three of the twelve countries involved in the negotiations currently have a Life + 50 copyright term (NZ, Canada, and Japan); no-one has signed a trade agreement with the US that hasn’t included at least a Life + 70 year copyright term; and if you were to place a bet on what way NZ was going to go, those are some pretty big odds. Walker also confirmed that the negotiating documents would not be released prior to signing the agreement. 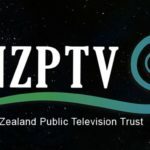 As New Zealand artists, the CFF is opposed to a Copyright Term Extension for New Zealand. 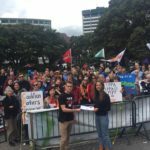 Is New Zealand About to Get Screwed on TPPA and Medicines?